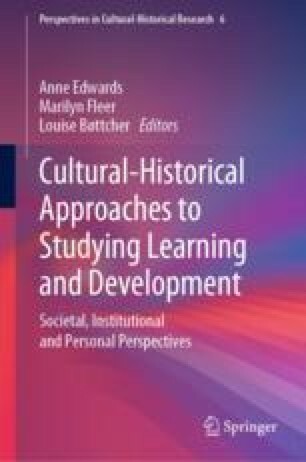 This chapter discusses the contribution of Mariane Hedegaard to the developmental didactics that has been derived from the work of Vasily V. Davydov within the tradition of cultural-historical theory. Our objectives are: to point out advances in the cultural-historical approach; from the perspective of developmental teaching, to show how Hedegaard’s concepts and research results contribute to the theorization of the elements of the teaching-learning process; and finally, to acknowledge her contribution to pedagogical research, including a survey of the prevalence of Hedegaard’s ideas in educational research produced in Brazilian universities. We are particularly concerned to consider her contribution from the perspective of some of the challenges currently facing education in Brazil. To address these objectivities, we present a conception of didactics inspired by the theory of developmental teaching which includes Hedegaard’s contribution as has been elaborated, and has been elaborated in our studies and research.